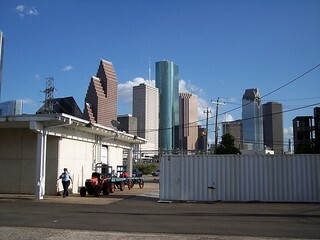 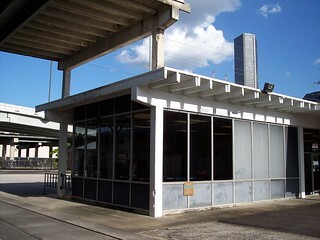 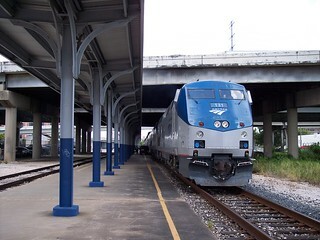 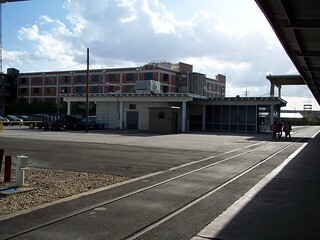 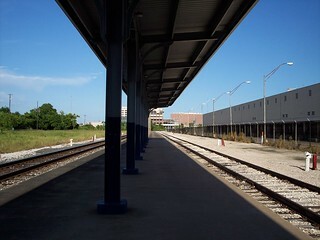 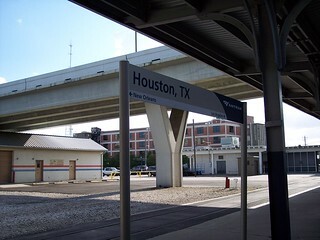 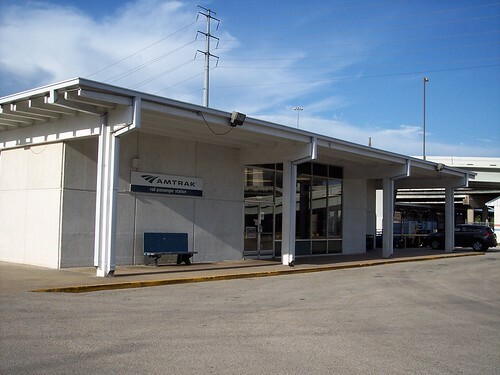 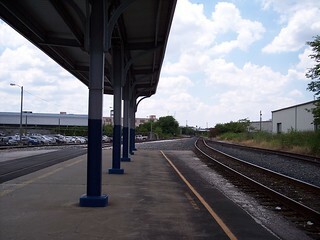 The Amtrak station in Houston. 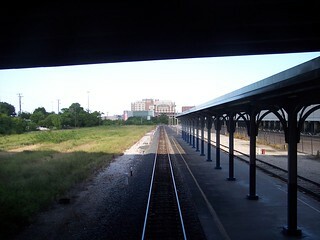 The former Grand Central Station was to the right of the current station, under the freeway. 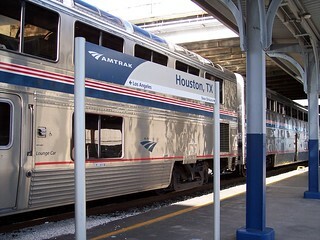 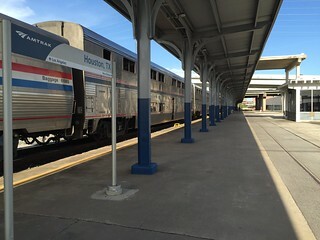 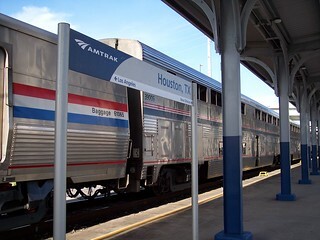 The Sunset Limited making its station stop in Houston.